The payments world has recently been ramping up the pace at which it goes digital, and more importantly, social. Tech giants such as Apple and Google dived headfirst into the Fintech world, whilst Facebook and Twitter have tentatively been dipping their toes in the water. Companies such as these have built up user-bases made up of young, digital natives who are happy to see many of their interests and hobbies fused into more fluid singular entities. Twitter is no longer simply a platform where one can spout whatever thought enters their mind, it is now ramping up to become a serious alternative to e-commerce platforms, whilst Facebook is surreptitiously testing mobile money transfers with its upgraded Messenger. It was only a matter of time before traditional institutions such as Western Union decided to jump on the opportunity itself. The WU Connect platform embeds Western Union’s global money transfer capability into third-party digital platforms to provide users with new ways to quickly and conveniently send money to friends and family. It enables pay-in, pay-out capability that uses technology, foreign exchange conversion, data management, as well as regulatory, compliance and anti-money laundering (AML) infrastructure, to expedite efficient and timely money movement almost anywhere in the world. Consumers will be able to fund the money transfer utilizing a debit card, credit card or bank account and direct the funds to a Western Union retail agent location around the world, and to a mobile wallet or bank account where available. The company said this platform represents a ‘natural evolution’ for the company. “At Western Union, we are actively listening to the voice of consumers and using that feedback as the basis for innovation in all of cross-border money transfer and payment capabilities. 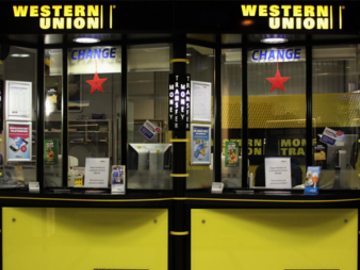 We are continuing to build upon our core strengths, expanding our digital business, investing in technology and compliance capabilities to connect the digital and physical worlds,” said Western Union President and CEO Hikmet Ersek.